ear when every night, weekend, and day is filled with Christmas parties, company holiday parties, and gift giving galore! If you’re an introvert like most financial types, it can be exhausting to put yourself out there socially. I always ask every year, “what’s the purpose of attending holiday parties?” Trust me when I say, there are numerous benefits to attending holiday parties this year. Company culture is a major contributor to how employees perform in a business. This is a company’s chance to show their employees how important they are. It is an opportunity to mingle with a different department. Whether or not your boss made it mandatory, holiday parties are a great excuse to network and show how valuable you really are. Who knows, maybe you’ll get a shiny new promotion out of it! Most importantly, a holiday party is a way to show gratitude to employees in a personal and professional manner. Not all holiday parties you will be invited to attend will be for your own company. Don’t shy away from attending that party your banker invited you to. While it may sound exhausting to mingle with people you don’t know after a long day of work, seize the opportunity to build your professional network in a fun and non-threatening environment. After all, wouldn’t you rather network over a cup of holiday punch than across the table at a boring seminar luncheon? Financial leaders (and potential financial leaders) do more than simply find results and number-crunch. 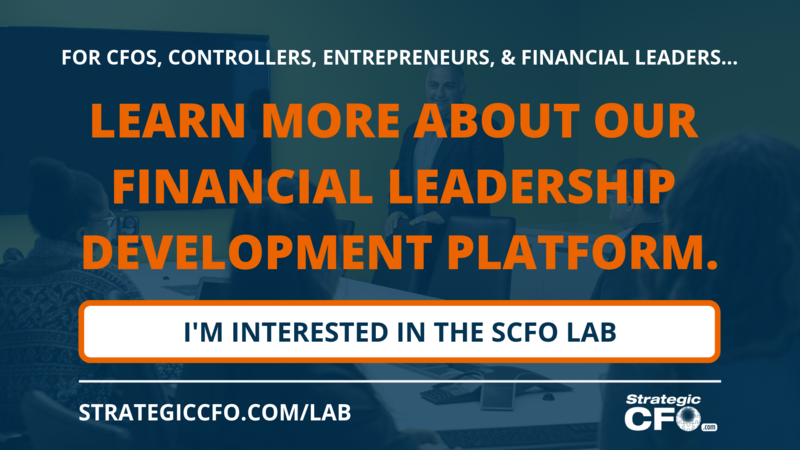 Financial leaders familiarize themselves with the goings-on in other departments, including sales and operations. This benefits the decisions they make in the future. A financial leader understands the importance of combining the strengths and opinions of everyone in the company, not just the finance department. A holiday party is a free event (for the participants, at least) to network and build those relationships. The best financial leaders recognize the importance of having a strong professional network. Holiday parties for organizations other than your own give you the opportunity to expand your reach and meet people that you otherwise wouldn’t be in front of. The nice lady from the software company might have just the answer you’ve been looking for to your inventory tracking problem. The young recruiter from the staffing firm might seem pushy right now, but you may need him in 6 months. You never know when the connections you make outside your office will pay off. nd how to absolutely rock this year’s holiday parties. Need guidance in networking? 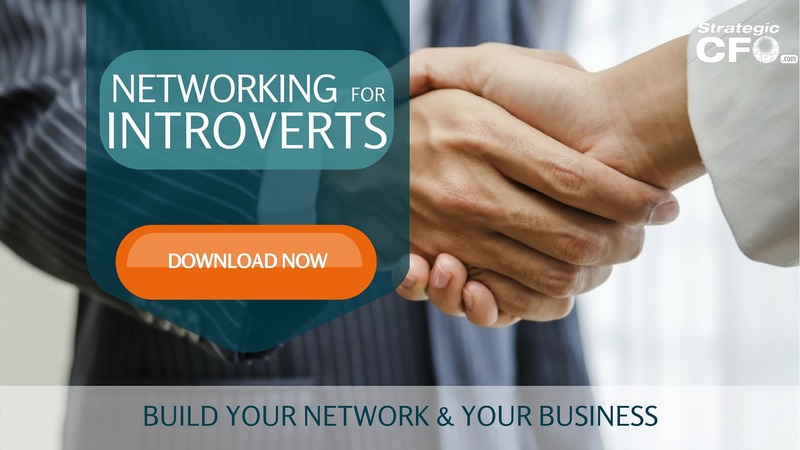 Download your free Networking for Introverts guide and start building your network today! Introvert: This is the person that hides behind their drink. The best way to socialize with an introvert is to thank them for taking the time to come, and acknowledge something small. If she has a new outfit, compliment her. If he brought a dish, try it out! It always feels better to know you exist in a large group of people. If you are the introvert, then the best way to survive the night is to participate in the festivities, but conserve your energy by taking frequent breaks. Know yourself, and know your limits – not everyone has the same caliber of excitement. Finally, know that it is okay to leave. Have your exit plan ready when you need it. Extrovert: Extroverts love a good party. They often tell a lot of stories and have a great ability to connect to others. However, sometimes extroverts might overstay their welcome. As an extrovert, a good way to avoid this is to have a plan. Know who will be there, keep a few stories and events in your memory bank, and remember to eat. All that talking can’t be done on an empty stomach! Other than handling different personalities types, here are a few more suggestions to consider. Or even referring to something you’ve read about them this year is a great ice breaker. Remember to listen, and not always tell your own experiences. Many people are intimated by the sheer number of attendees at a holiday gathering. The important thing to remember is that you don’t have to talk to everyone. Instead, spend your time engaged in meaningful conversation with a few people that you’ve been wanting to connect with. How do you make sure that you get in front of the person you’d most like to chat with? Getting to a holiday party early has more perks than just having the first access to all of the food. Remember that this is a professional event, and most likely everyone will show up on time to leave on time. Get there early so that you can survey the room as people arrive and make sure that you get to talk to that one contact you’ve been hoping to get in front of. Arriving early also allows you to “stake out your territory” so that you make sure to get a prime spot to meet people rather than being stuck in the back corner of the room where no one can get to you. Since this is a professional event, there are some limitations. Dress appropriately, don’t overstay your welcome and eat and drink in moderation. It’s easy to get caught up in the holiday spirit, but you want people to remember you for the right reasons, not because you look great with a lampshade on your head. For an introvert, an invitation to a holiday party can be about as welcome as a root canal. Rather than seeing the experience as painful, recognize the opportunity it presents to have fun with your co-workers or build your professional network. Don’t worry about being the life of the party and meeting everyone in attendance. Focus on those few people that you really want to connect with and make sure that you leave a good impression with them. How will you get through your holiday parties? Download your free Networking for Introverts guide to help build those relationships.